Juvederm Voluma is the newest HA (hyaluronic acid) soft tissue filler to gain FDA approval. It has been available in Europe since 2005 and is used in 72 countries worldwide. Juvederm Voluma is the newest filler in the family of Juvederm products, and is formulated with lidocaine for added comfort during treatment. This current form, with the added local anesthetic, is known as Juvederm Voluma XC. Dr. Grace Kwon-Hong serves as a key opinion leader and national trainer for Allergan, and trains other physicians on proper injection techniques using Botox, Juvederm Ultra, Juvederm Ultra Plus, and Juvederm Voluma. She was selected as one of the first physicians in the Central Valley to offer Juvederm Voluma XC. The loss of midface volume is one of the hallmarks of facial aging. This occurs in varying degrees of severity, and can lead to significant changes in the facial appearance. 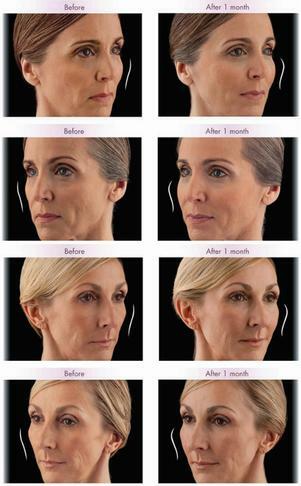 One of the most noticeable changes is the loss of cheekbone definition. Historically, this was addressed with surgery to tighten the overlying skin and lift the deeper soft tissues. More recently, volumizing fillers have been used to provide a similar ‘lift’ without surgery. The goal is to restore volume in the midface to create a natural, youthful face. Juvederm Voluma is a facial filler made up of hyaluronic acid, a naturally occurring substance that helps to bind water to cells. Its extensive cross-linking helps to provide an excellent lifting capacity, making it an excellent choice for restoring volume in the cheeks and midface. WHAT SHOULD I EXPECT AFTER A JUVEDERM VOLUMA XC INJECTION? IS THERE ANY DOWNTIME AFTER A JUVEDERM VOLUMA XC INJECTION? There is no downtime after treatment, and patients may return to their normal activities. In some patients, there are transient side effects, such as minor swelling and bruising, but these are usually mild. WHAT ARE THE COMMON SIDE EFFECTS OF A VOLUMA TREATMENT? To learn if Voluma is right for you, Dr. Grace Kwon-Hong will perform a thorough consultation. Dr. Grace Kwon-Hong has experience with a number of different fillers, and will select the best filler combination for you. CAN JUVEDERM VOLUMA BE REMOVED OR DISSOLVED? One of the major advantages of Juvederm Voluma is that it is composed of hyaluronic acid (HA). If necessary, HA fillers can be dissolved with an enzyme in a very simple procedure. Experienced injectors like Dr. Grace Kwon-Hong rarely need to remove any filler after it has been injected, but this is a benefit to have as a potential option. DOES JUVEDERM VOLUMA REQUIRE ANY SPECIAL TRAINING OR EXPERIENCE? All facial fillers require extensive experience in order to achieve the absolute best results. 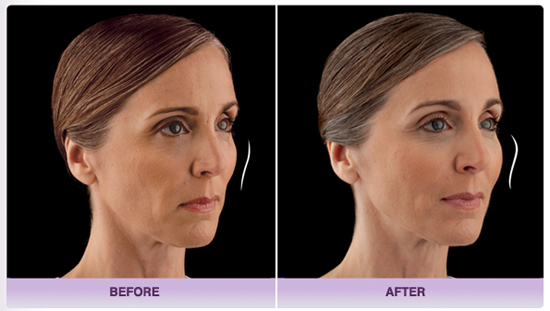 Use of a filler such as Voluma requires experience and advanced understanding of anatomy in the midface. Dr. Grace Kwon-Hong serves as a national trainer for Allergan in order to train others how to safely and properly inject Juvederm Voluma. ARE THE TREATMENTS WITH JUVEDERM VOLUMA PAINFUL? Patients usually report only minimal or mild discomfort during treatment. 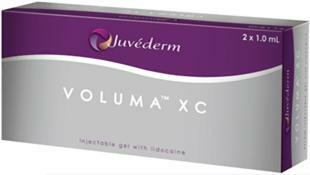 Juvederm Voluma XC is also formulated with lidocaine to enhance patient comfort. CAN JUVEDERM VOLUMA BE COMBINED WITH OTHER FACIAL FILLERS? Juvederm Voluma can often be combined with other facial fillers. In fact, Dr. Grace Kwon-Hong often uses different fillers for the same patient in order to achieve a more natural result. Voluma is well suited for many areas of the face, such as the cheeks, but is not ideal for certain areas like the lips. WHAT AGES ARE MOST APPROPRIATE FOR TREATMENT WITH JUVEDERM VOLUMA? While theoretically any patient with deficiency in the midface could benefit from Voluma treatment, there are some important principles to understand when it comes to selecting appropriate patients for Voluma treatment. Younger patients with early fat volume loss often notice a more dramatic restoration of their facial volume due to excellent skin elasticity. Older patients, on the other hand, typically require more filler in order to achieve optimal correction. Often these patients benefit from other treatments, such as Botox and laser resurfacing, to create a more complete facial rejuvenation. But overall, there are no absolute age limits for Voluma treatment. Unretouched photos of a paid model taken 1 month after treatment. A total of 3.5 mL of JUVÉDERM VOLUMA™ XC was injected into the cheek area.